Lisa is a licensed CPA who has been preparing returns for over 20 years. Upon earning her accounting degree from Northern Illinois University, she started her career working in Downtown Chicago at a mid-sized, regional accounting firm. Lisa started preparing returns on her own in 2000 and in 2013 incorporated and moved the business out of the house; Quantax was born! She is a mom to 3 daughters and a son and in her free time she enjoys running and traveling. Fun Fact: Lisa is currently training to run her first 10k. Heather has an Engineering Degree from Washington State University. She has 12 years of experience working in the Construction Industry as an Engineer, a Cost and Commodities Accountant, and a Contracts Manager. She joined the Quantax team four years ago and is enjoying her second career. She is actively involved in her son and daughter’s hobbies and can always be found cheering them on at sporting events. Heather also volunteers for several non-profits and manages their accounting and enjoys giving back to the community. In her free time, she loves to go on hikes and to the beach with her kids and dog. She is very active and enjoys watching all different types of sports. Fun Fact: Heather once swam 100 miles in a month. Hirako graduated from University of California, Riverside in 2014 with a Bachelor of Science in Business Administration with Concentration in Accounting. She began her career as a staff accountant working in local CPA firm in Encinitas, where she gained experience in auditing and assurance services, business advisory, and tax preparation. Hirako is a young Marine spouse who has a passion for other military families. With understanding of unique military culture along with specialized knowledge in accounting, she is looking forward to helping clients achieve their goals. Fun Fact: Hirako owns two lovely German Shepherds named Chesty and Mattis. Alex, a local CSU San Marcos graduate, earned his bachelor’s degree in Business Administration with an emphasis in Accounting. Rolling into his third tax season with Quantax, Alex feels ready to take on the next challenge of becoming a CPA. The road to achieving this goal is not easy, but a life full of experiences is all worthwhile. In his spare time Alex enjoys spending time outdoors, at the beach, hiking, and attending all types of sporting events. Fun Fact: Alex is still a die-hard Chargers and Padres fan. Sam is currently a finance student at San Diego State University. After growing up around the business he is excited to take a more active role with Quantax. He currently manages all of Quantax's online presence including the website and various social media accounts. In his free time, Sam enjoys doing anything outside and traveling. He especially loves going hiking and to the beach. Fun Fact: Sam is planning on studying abroad in Europe for a full academic year starting in fall 2019. Alyssa Ang is a third year accounting student at San Diego State University with an expected graduation date of Spring 2020. She is looking forward to studying for the CPA board exam and hopefully working at an accounting firm after graduation. Alyssa is the Vice President of a multicultural sorority, Sigma Phi Omega in SDSU. She was also the Director of Activities for Student Accounting Society last fall. Fun Fact: Alyssa loves to go hiking, to the beach, and taking dance classes in her free time. Blake is currently a senior graduating in the Spring of 2019 with a Bachelor’s Degree in Accounting from California State University San Marcos (CSUSM). He has five years of customer service experience and three years working at a financial institution. Last semester, Blake and his college peers completed a consulting project with a data analytics firm that reached out to CSUSM. When Blake graduates he plans to sit for the CPA exam. During his free time, Blake likes to exercise whether it’s at the gym, running, or hiking. He also enjoys cooking, dining out with friends, and reading. Fun Fact: Blake is planning on a trip to Germany after graduation. 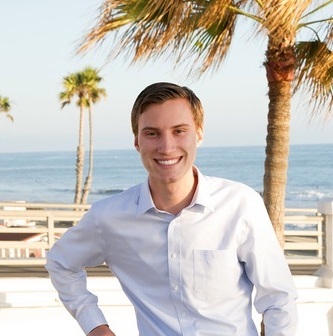 Kyle Karney is a third year accounting student at San Diego State University with an expected graduation date of Spring 2020. He looks forward to sitting for the CPA exam and working for a large firm upon graduation. He has four years of customer service experience and four years as a camp counselor for the Nike Junior golf clinic. In his free time, Kyle enjoys staying active by regularly playing golf, basketball, and going to the gym. He is a self-proclaimed “food connoisseur” who enjoys cooking and dining out. He is also a member of the Student Accounting Society at SDSU. Fun Fact: Kyle is in the process of creating an Instagram food channel to document his best dining experiences and cooking creations.